An active start for the new year it was! 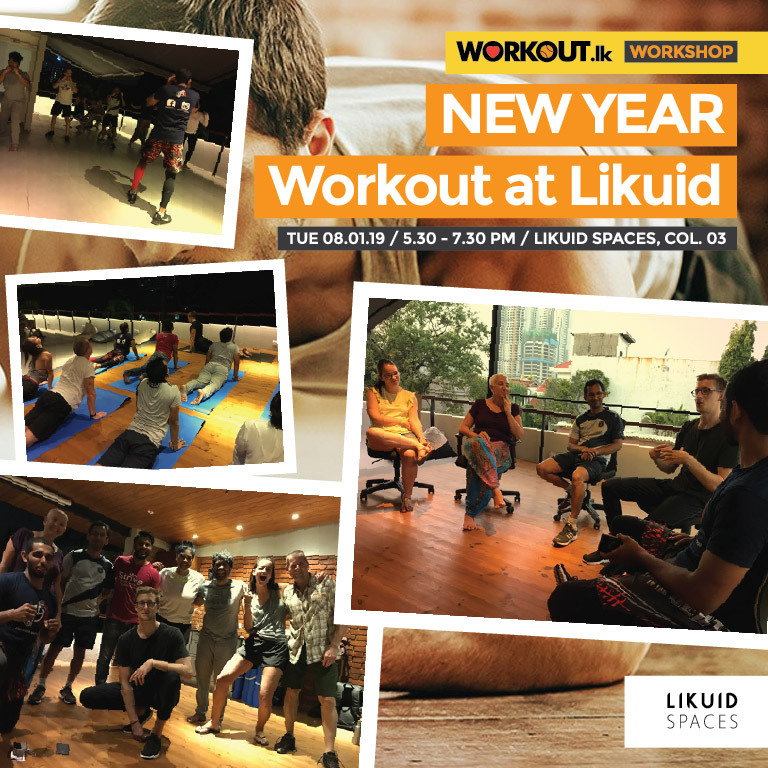 Our first workshop for the year was at Likuid Spaces (Colombo 03) where we learned about the unique benefits of MMA and Yoga and how both can be great complementary workouts for anyone new to fitness. Thanks to Sean Pepper Robinson and Ajmal Yakoob for conducting a great mini workshop this Tuesday! Want to try out classes as Likuid? Visit the CLASSES page at www.workout.lk and book directly from your mobile or desktop!